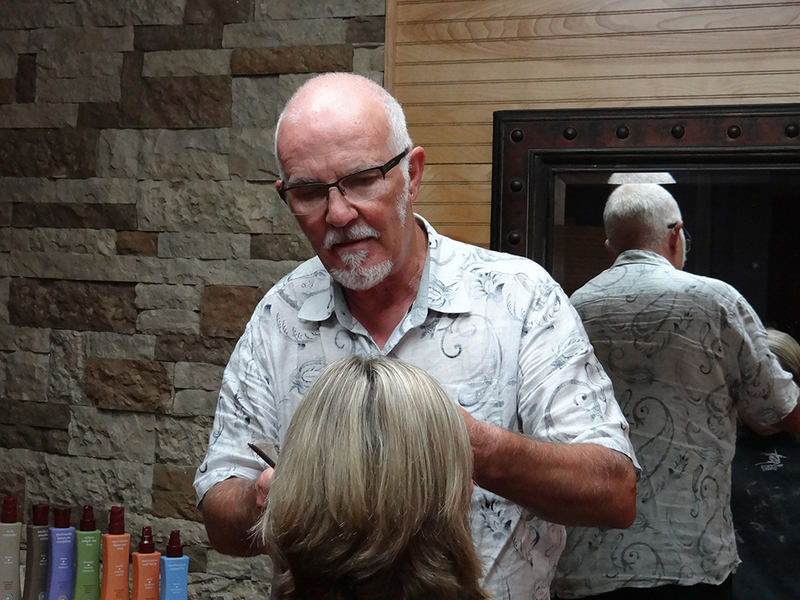 Clients rave about Jack and Kris, both hair color experts and creative hair stylists. 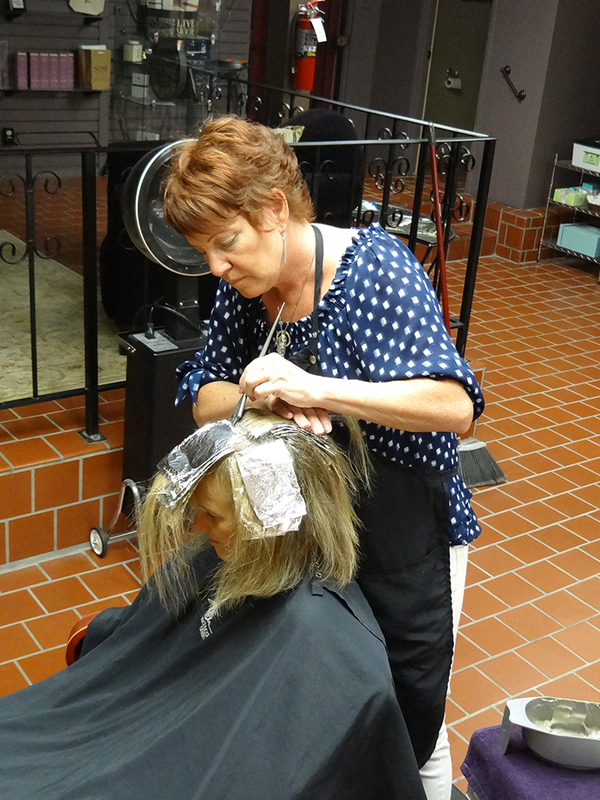 They work together in their McMinnville salon to bring years of experience and technical skills to both women and men. 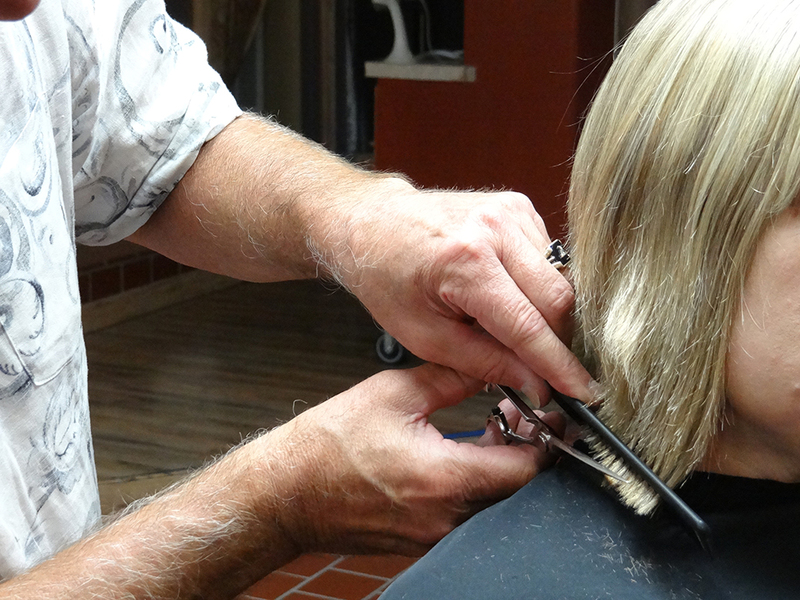 Clients leave thrilled with their hair and the care and attention they’ve experienced. “Jack and Kris have done wonders with my hair for almost a decade, and no one compares to their style and skill. You’ll love being in their chairs. I wouldn’t trust anyone else with my hair, and I recommend them to my friends every chance I get.” –Andi B. “Not always do you find someone who can cut and style very curly hair. I found the place thanks to my beautiful daughter, Emily, who flies in from Houston, TX. Not only can he cut my hair, he does a beautiful job on the color weave, also. I’m one very happy client. Trust me, you’ll love them.” –Darcy S.
“Jack is a superb stylist and business owner. He is attentive to his clients’ wants and needs, is detailed in his design work and makes recommendations to fit your personality and lifestyle. I am a long term client and I know that I can count on Jack and his team to make me look and feel my very best. I highly recommend both Jack and his team for all of your hair care and beauty needs.” – Tammy J. “Jack is a dedicated professional. In our time working together at ABBA, and in years since, I have always found Jack to be extremely creative, detail oriented, passionate, and dedicated. I encourage anyone who has not had the pleasure of working with Jack, to give him a try. You won’t be disappointed.” –Evan P.-K.
“Jack is the best of the best! His business and work ethics are supreme. His ability to make you look and feel beautiful is absolutely awesome. Walking down the steps to Technical Artistry and being treated like a very special guest from the moment I arrive is always a treat. Jack takes the time to get to know his clients. His haircuts and colors are superlative!!! I would recommend his salon to anyone who wants the best!” – Janell K.
“Jack Sanders and his wife Chris own Technical Artistry, a great Salon/Spa that I would highly recommend! The name Technical Artistry really suits the salon…They give a highly technical, artistic haircut that works with everyday life and they are artists with color as well. I have had the very best cuts /color there. … Anyone wanting to be pampered yet leave with a great haircut or other service…then you’ve found your spot. The minute you walk in you know you are somewhere special. I get compliments all of the time and they have my most sincere recommendation!” – Jennifer L.
“I would highly recommend this salon. I came here after a botched color/balayage, and the end result is beautiful. It is better than I expected to be able to get and closer to what I originally wanted than I thought was possible. “Thanks for the beautiful haircut and color today Jack! You do such a wonderful job and your salon is gorgeous, welcoming and very professional! !” – Janell S.K. “I love this place! They really listen to what you want and give it to you. Relaxing and friendly atmosphere and good prices too. Thanks Jack! 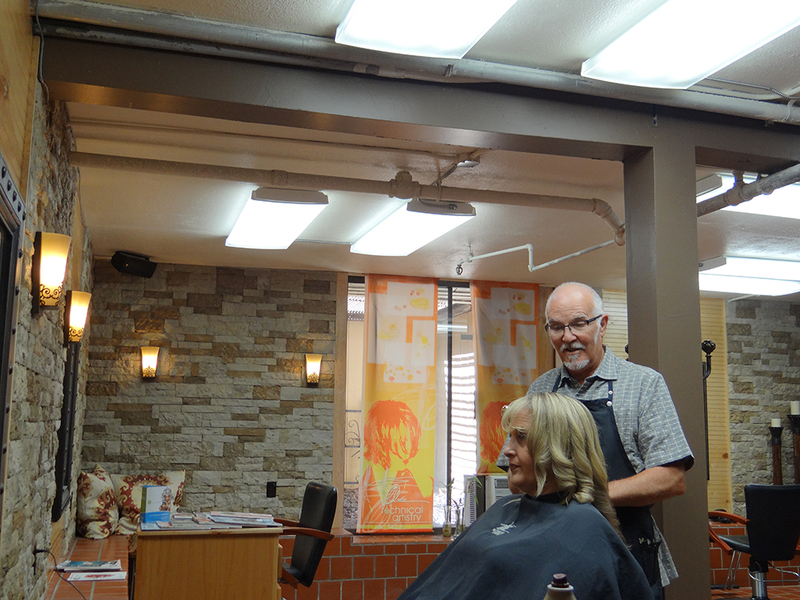 I love my hair!” –Melissa M.
“I followed Jack from Salem to McMinnville. I am always pleased with my cut and I do not have the easiest hair to style. Very thick. I love the new place. The music and conversation is great. Love the aroma therapy experience and the products are healthy. On top off all that goodness are real cloth individual towels in the restroom! I make a day of it because hanging out in McMinnville is awesome.” – Sue H.
“As usual, my visit with Jack went fantastic! Today was just a hair color to cover up the pesky grays, but I walked out feeling great and can’t wait to go back next month for the cut. Jack always does a fabulous job, especially when it comes to my natural curl. The cut lasts at least 8-10 weeks and I always feel like it’s easy to maintain! !” – Annette W.B. “Jack is a fantastic stylist. I have been having Jack cut my hair for the last several years and it is the best haircut, by far, that I have ever had. He doesn’t cut corner on time by using electric razors. He’s a master with the shears and I can say that I am thrilled every time I leave. Thanks Jack! !” — Eric N.
“Jack gives a full service haircut. I have been going there for 2 years and don’t mind driving out of town (now that they moved to McMinnville) for a quality haircut. He takes his time and makes sure that you get what you want every time. I am very picky about my hair cuts but Jack nails it every time.” –Robert C.
“Technical Artistry is not just a salon it’s an experience. Jack has been working his magic on my hair for years. When he and Kris, who is just as awesome, made the decision to move the salon to McMinnville, there was no question of my hair not following. I have difficult to cut and color hair, Jack (and sometimes Kris) make it look great with ease. The new location is cozy with a zen like feel due to all the stone and woodwork. 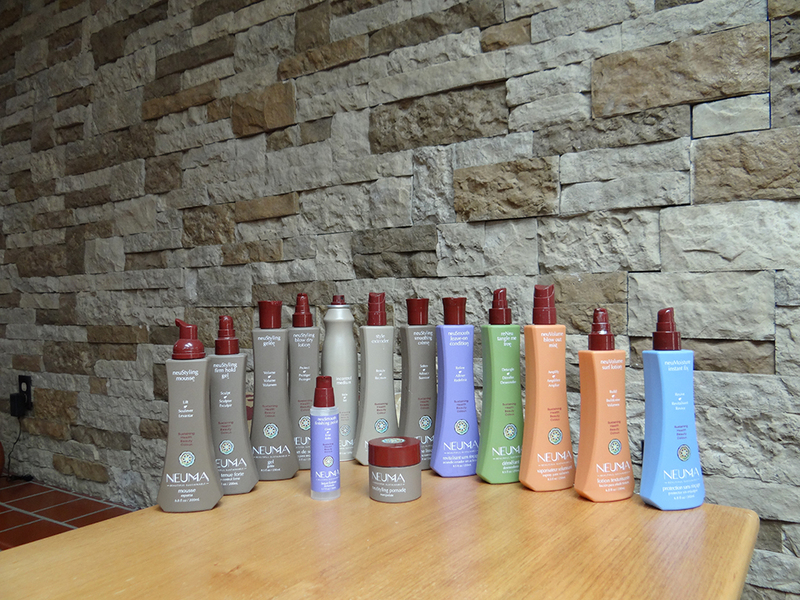 I also love their newest product line, NEUMA, it’s more natural and better for the environment. The Sanders care about what they use on their clients. I wouldn’t get up at 6:30 to get ready for a hair appointment and go anywhere else. :)” – Jeni D.
“Another perfect cut from Kris! She gets it, and makes it work. Best ever shampoo, conditioner, heat wraps, and scalp massage!” – Bradley L.
Artistic and practical haircuts, sumptuous coloring, calm and relaxing environment … all in McMinnville, Oregon.